Ashok Leyland Stile MPV launched at Rs 7.49 lakh: But will it sell? The low-selling Nissan Evalia has got a second shot at the hustings – Ashok Leyland launched the Stile MPV, which is a rebadged Evalia, with restyling, detuning and cost-cutting to boot. 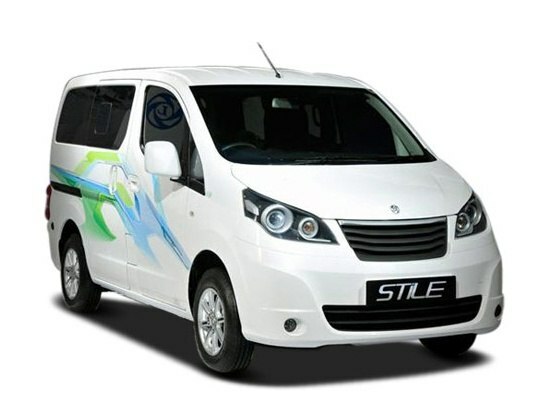 The Stile will be built at the Nissan factory in Oragadam, on the same production line as the Evalia. The MPV will be sold in 7 and 8 seat versions. While the Stile shares most parts with the Evalia, here’s a gist if how Ashok Leyland has managed to undercut the Evalia’s pricing with the Stile. The Stile’s base variant starts at Rs. 7.49 lakh, ex-showroom Delhi, while the same version of the Evalia (XE) is priced at Rs. 8.7 lakh. Comparing the top end LX variant of the Stile to the XV variant of the Nissan Evalia (Rs. 10.24 lakh), we find that the Stile comes with a much lower price tag as well as much lower level of equipment. How is the Stile different from the Evalia? Ashok Leyland plans to sell the Stile to cab operators and hotel fleets rather than family car buyers. This strategy is meant to clearly position the Stile as below the Evalia – and that is just one of the many such differences. Before getting into the features and equipment bit, let’s take a look at the Stile’s mechanicals. The MPV features a detuned version of the Evalia’s 1.5 litre K9K diesel engine. With a power output of 75 Bhp and 185 Nm torque, the Stile’s 1.5 litre K9K motor loses about 10 horses and 15 Nm of torque to the Evalia. This gives the Stile a marginally better fuel efficiency of 19.5 kmpl, just 0.2 Kmpl better than that of the Evalia, despite the weight savings that the Stile manages owing to it losing many features. The gearbox is the same 5-speed unit, with a front-wheel drive layout. Let’s now look at the omissions on the top-end version of the Stile. While the Evalia’s top-end variants come with a factory fitted stereo player, tachometer, trip computer with real time fuel consumption read outs (Multi information display), push button start, keyless entry, electrically adjustable ORVMs, door pockets, central storage bins between the front seats, reverse parking camera and tilt adjustable steering, all these features are missing on the Stile. Important safety bits such as ABS, EBD and twin airbags are also notable omissions on the Stile. If that happens and Nissan dealers continue to offer the Evalia at a discounted price, as is the case currently, the Evalia will make much better sense in terms of value-for-money, than the Stile. So, Ashok Leyland’s strategy of targeting the highly price sensitive cab operator market, who seek more value than family MPV buyers, might not work for the Stile after all. Also, Ashok Leyland’s small commercial vehicle (SCV) dealer network, with 130 outlets, isn’t that much more widespread than Nissan India, which is catching up, as it already has 99 dealerships. So, the case of Ashok Leyland having a significantly larger dealership network that can ensure the Stile gets enough traction with buyers, isn’t a possibility here. Will the Stile prove to be yet another example of badge engineering failing spectacularly in the Indian market? There’s a good chance of that happening. As a cab operator or a family MPV buyer, your other options include the Maruti Suzuki Ertiga, Mahindra Xylo and the Chevrolet Enjoy, all of which come with a wider dealer and after sales network than Ashok Leyland. Also, the prices of comparable variants of the above MPVs, vis-a-vis that of the Stile, make them better bets value-wise. And value sells big in India!